We had a summer get together last week in the local woman's church group I belong to. 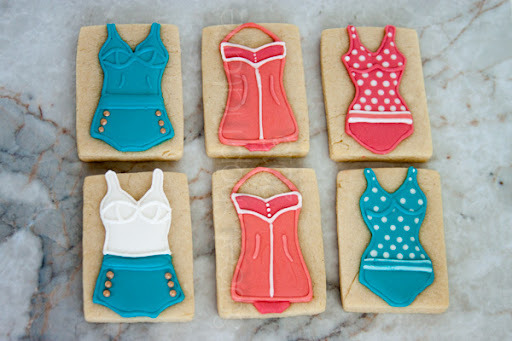 I signed up to bring a dessert and when I found out there was going to be a retro swim suit theme I knew I had to make some cookies. 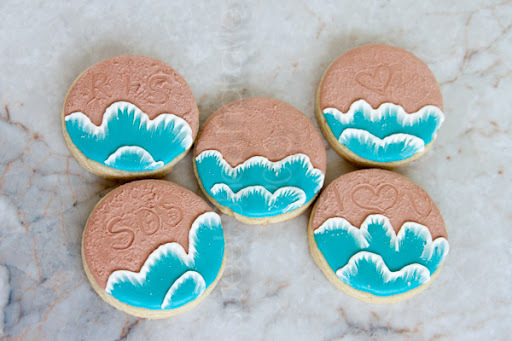 I also wanted to try out the beach cookies I recently saw over at Sweet Ambs amazing website. Vintage suits turned out pretty cute. Surf boards, the flames didn't work out so well. 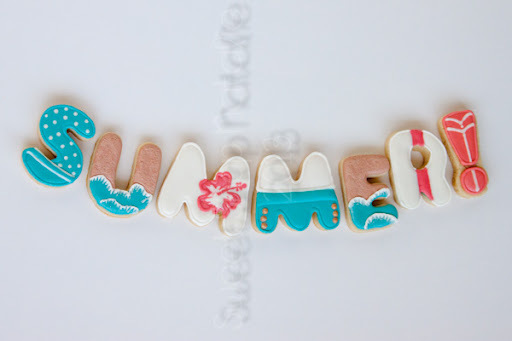 And my favorite.... the word summer in cookies. 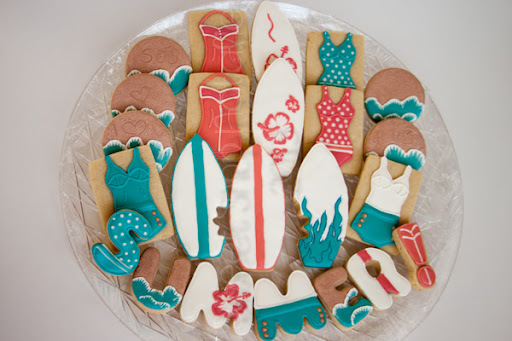 I tried to reflect the other cookie designs in the letters. Summer is going to be over before we know it. I hope that you are having a great summer and hopefully a little cooler than the 100 degrees we are enjoying surviving here!! 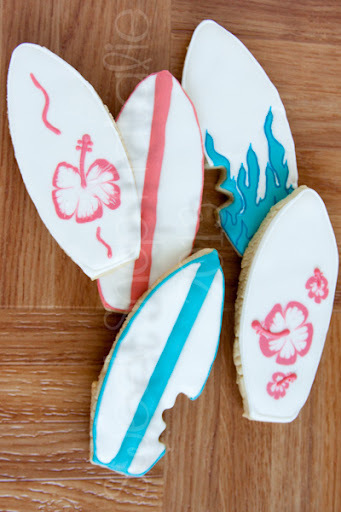 Love the shark bite boards and the flame one, and the summer ones, and the... okay ALL of them!